Mid North Coast Local Health District (MNCLHD) developed a comprehensive staff training program on domestic and family violence, to better understand violence prevention and create a safer, more respectful workplace. To achieve White Ribbon Workplace (WRW) accreditation by March 2017. Strengthens gender equality and stops violence against women. Allows the organisation to become an employer of choice. Improves workplace culture, safety and morale. Increases the skills and knowledge of staff to address violence against women. Reduces the risk of workplace incidents, injuries and associated costs. Improves staff retention rates due to flexible work practices. Reduces costs associated with recruitment, orientation and training of new staff. Improves patient safety and care, and keeps people out of hospital. Perpetrators can use workplaces to harass or stalk victims, impacting their work performance. This can lead to work absence or misconduct due to fear, injury or concern for children while at work. The flexibility required to cope with the issue can also lead to high turnover of staff. With a large workforce of over 4000 staff, MNCLHD identified an opportunity to create a safer, more respectful workplace. It also aimed to improve productivity and reduce costs associated with staff absenteeism and turnover. The WRW accreditation program was identified as a recognised, appropriate tool to guide this change. MNCLHD was the first NSW local health district to become accredited as a WRW, following a rigorous process to demonstrate effective leadership, resource allocation, communication, policy development and training. The program engaged and enabled staff to lead the change, through education delivered by specialist services to more than 4000 MNCLHD staff. The following activities were undertaken to implement this program in MNCLHD. A domestic and family violence policy was developed to guide staff in the recognition, prevention and response to violence in the workplace. MNCLHD partnered with the Education Centre Against Violence to develop workplace training resources, including three DVDs with advocate Rosie Batty. 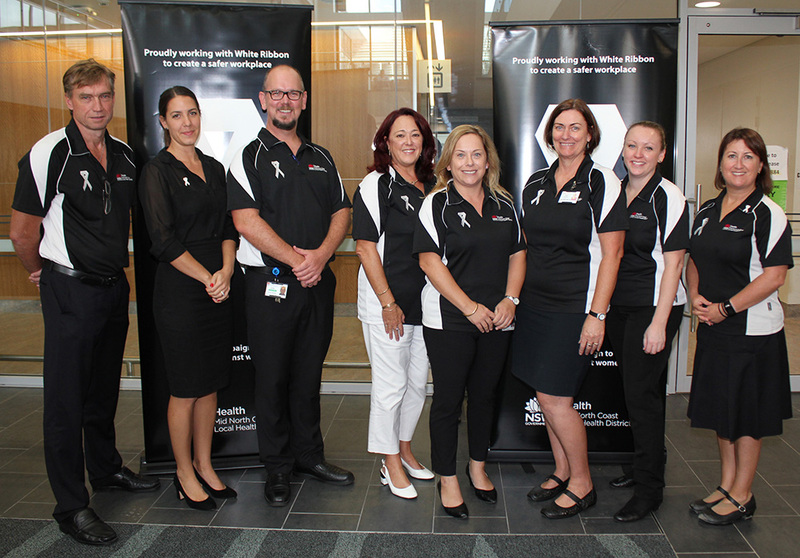 MNCLHD partnered with Griffith University to deliver its MATE Bystander Program, providing staff with skills to confront, interrupt and prevent violence. A dedicated full-time project officer was recruited to lead, implement, monitor and evaluate the project, including its impact on patient care. The program was incorporated into orientation programs for new staff, with ongoing mandatory manager and supervisor training sessions. Tools and safety lists were developed to help managers respond appropriately when staff disclose they are experiencing domestic or family violence. A referral tool and Memorandum of Understanding was developed for specialist services, to help people experiencing domestic and family violence. Promotional resources were developed, including FAQ sheets, banners, t-shirts to prompt conversations, and intranet pages with links to key resources. Community days were held to engage with external organisations that supported implementation of the accreditation program in MNCLHD. An implementation framework was developed to recognise, respond, refer and inform safety plans. WRW accreditation was added as a standing item on departmental meeting agendas. MNCLHD was awarded an Outstanding Achievement in the WRW accreditation program, with the comment ‘The extent of collaboration with expert agencies is exemplary’. As a result of WRW accreditation, MNCLHD staff are skilled at recognising and responding to domestic and family violence in the workplace and community. 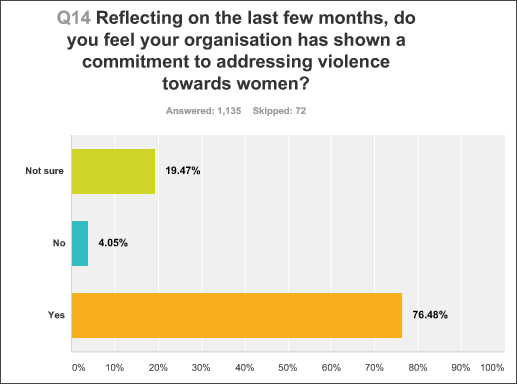 4400 staff completed workplace training to prevent domestic and family violence. This training, co-developed by MNCLHD, will be rolled out across other local health districts and organisations. 18 staff completed the ‘train the trainer’ MATE Bystander Program, with 23 sessions held in 2017 and 25 scheduled for 2018. 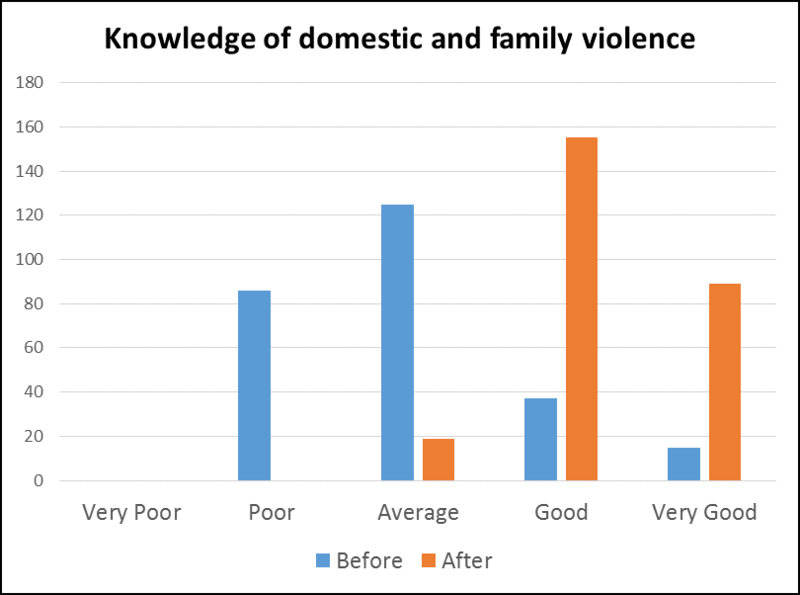 Staff surveys conducted prior to and following manager training showed the program increased their knowledge and skills in domestic and family violence. Staff surveys conducted after each of the six manager training sessions showed that staff felt pride in being accredited and believed it enhanced workplace culture, safety and morale. White Ribbon Day events and activities were well attended and commended by external organisations, including youth leaders, police and local council. MNCLHD is working towards the next accreditation in 2019, with formal systems in place to maintain gains and monitor goals at regular intervals. The project demonstrated that accreditation is achievable across a complex organisation. This program should be mandatory in all NSW Health organisations. All resources described are freely available for adoption or modification. The program requires all staff to work together, as domestic and family violence is present across all income streams, social classes and professions. WRW accreditation was achieved by employing great teamwork across all levels of management and staff, partnering with external training and accredited organisations. It is important to put in place professional services to support staff who may be triggered or impacted by discussions about domestic and family violence. Australia’s National Research Organisation for Women’s Safety (ANROWS) and VicHealth. Change the story: A shared framework for the primary prevention of violence against women and their children in Australia. Melbourne Vic: Our Watch; 2015. Australian Bureau of Statistics. Personal Safety, Australia, 2016. Catalogue Number 4906.0. Canberra ACT; ABS: 2017. Pennay DW, Powell A 2012. The role of bystander knowledge, attitudes and behaviours in preventing violence against women: a full technical report. Melbourne VIC; The Social Research Centre; 2012.